Published September 1, 2018 Filed under Immigration, Media Bias, US News, Utah. Total of 2 comments in the discussion. Utah’s Dr. Ronald Mortensen, Ph.D., has been nominated by President Trump to be the Assistant Secretary of State for the Bureau of Population, Refugees and Migration. If confirmed by the Senate for the State Department role, he would be responsible for overseeing the U.S. assistance to and support of vulnerable populations, including refugees. Related Article: Utah’s Ronald Mortensen Nominated for Top Position at DOS. Dr. Mortensen has every credential to qualify him for this esteemed appointment. He has done more to alleviate the suffering of world refugees than all of the bleeding-heart liberals, whiny RINO’s, and soft-socialists combined in the state of Utah. Let’s start with the truth. He has never advocated against legal immigration. He has never withheld his aid from any person because of their race, religion, or political leanings. He has never advocated to rip families apart. He has, however, committed the cardinal sin of having concern for the rule of law and the effects that illegal immigration has on American children and their families. 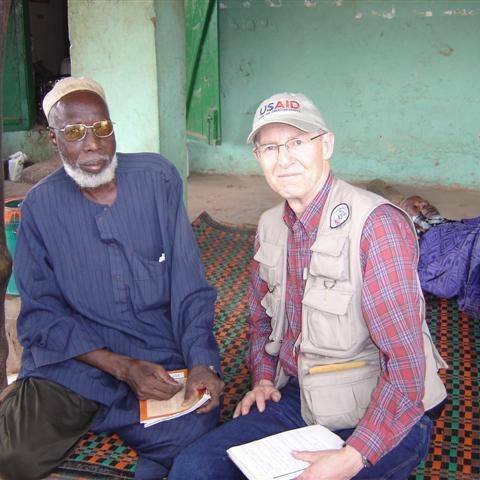 Dr. Mortensen spent five days in The Gambia (West Africa) last week conducting a rapid food security assessment. The attached photo was taken at a “town” meeting where we were discussing the food security situation. The situation is grim since the 2011 harvest failed and people only grew enough food to last several months. Also, there is a serious lack of seeds which are required for this years planting. Refugees and asylum seekers are completely different legal categories from illegal immigrants. Refugees are legally admitted to the United States and asylum seekers have temporary legal status. 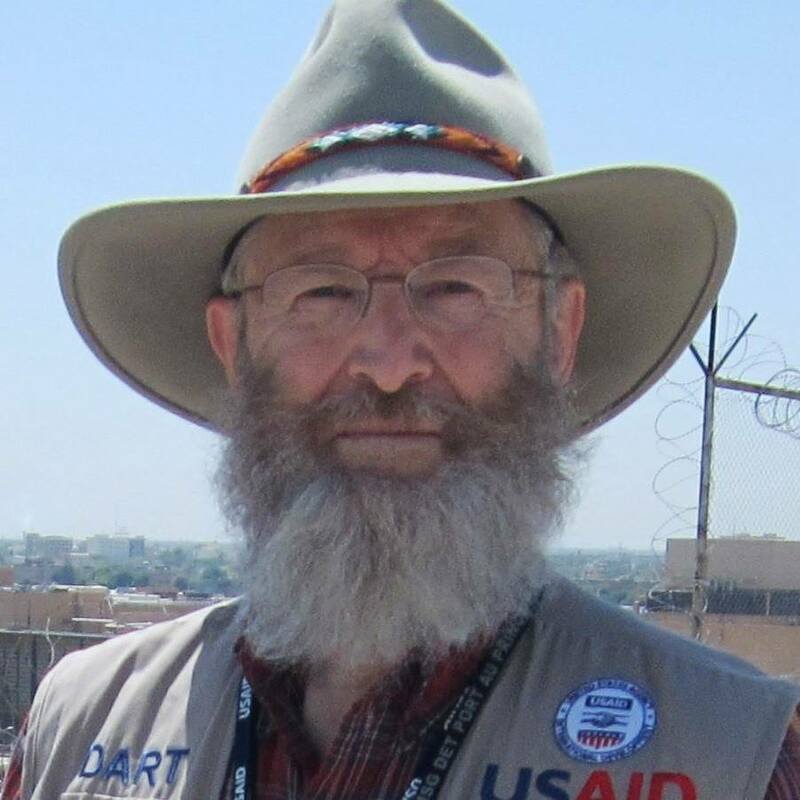 Dr Mortensen’s fifteen years with USAID has been in the service of people in foreign countries, including millions of internally displaced persons, who need humanitarian assistance. 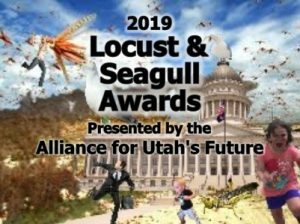 But none of that has stopped Utah’s highly certified, fake-news, mainstream media from attempting to destroy Dr. Mortensen by portraying him in a negative manner by presenting biased, sloppy, distorted and incomplete information, filled with deliberate propaganda and falsehoods, politically correct distortions and other forms of deceit where the truth is avoided and extreme falsity attempts to become our virtual and simulated artificial reality. Here are some facts about Dr. Mortensen. He is a U.S. Air Force veteran. For two decades, he served as a Foreign Service Officer. 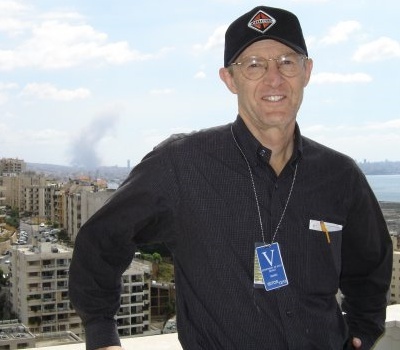 He was on the White House Advance Team that prepared and administered the Reagan-Gorbachev meetings in Reykjavik which marked the beginning of the end of the cold war. He was recognized for courage by the U.S. Department of State during a crisis in Chad and continues to respond to humanitarian crises around the world including Syria and Iraq. His 15 years of humanitarian service in dangerous places have helped save the lives and alleviate the suffering of millions of people from the actions of thug dictators, of ISIS and of natural disasters. He spent months on the ground in Mali following a conflict that drove thousands of people from their homes and helped respond to the Ebola outbreak in Mali. He risked his life helping with responses to cholera outbreaks in Haiti and Guinea Bissau. He’s had multiple assignment in Iraq, helping meet the needs of millions of displaced Iraqis, and has served as the DART Leader in that war-torn nation multiple times. In that lead role, he collaborated and coordinated with some of the highest U.S. government officials in Iraq. 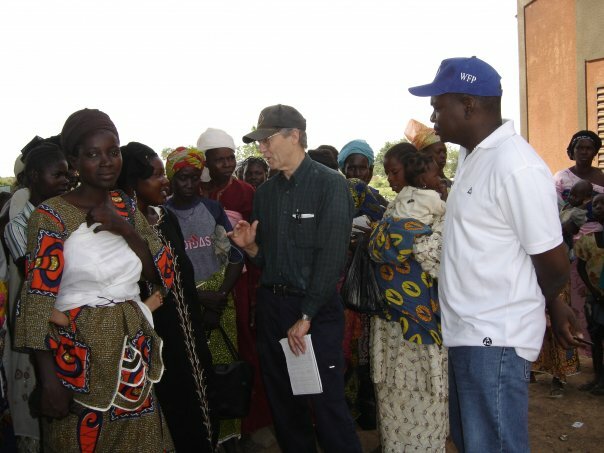 Dr. Mortensen has performed that work with the United States Agency for International Development’s Office of Foreign Disaster Assistance (USAID/OFDA) and he has earned numerous awards from the U.S. State Department and USAID. He was on the team that was last year’s winner of the “Samuel J. Heyman Service to America” Medal in the category of National Security and International Affairs. Dr. Mortensen was featured in an article at Medium.com for his humanitarian work. He has also written about the American people’s assistance provided to Iraqis. Met with beneficiaries of a U.S. taxpayer funded voucher program designed to help extremely vulnerable people purchase food. Although these are exceptionally poor people they have tremendous pride in themselves and their looks. Families with children between 6 and 24 months also received PlumpyDoz, a high nutrient food, to help prevent malnutrition. Location: Ouagadougou, Burkina Faso. Great way to spend 24th. Dr. Mortensen is also a respected Fellow with the Center on Immigration Studies (CIS) and has been outspoken on the felonies that every illegal immigrant who gets fraudulent documents for employment purposely commits. He has fiercely defended innocent American children whose lives are turned upside down when illegal immigrants use their Social Security numbers to get jobs. But because Dr. Mortensen believes like most Utahns – that legal immigration is good and illegal immigration is bad – he’s under attack. Because he seeks the truth and honest academic research which proves that illegal immigration hurts Americans, minorities, legal immigrants, children, and the working class, he is somehow a racist and anti-immigrant. Like the left so often does, rather than attack Dr. Mortensen’s research, they simply result to name-calling and insinuation to destroy him and his nomination. Now, there is a full-out assault on his character started by many here in Utah. The Salt Lake Tribune and other moderate to liberal voices, including Holly Richardson, a bitter, 3-time election loser, are chiming in with their opposition. It’s likely that they don’t support President Trump and his commitment to making America great again. To date, the Tribune’s story has had at least three different headlines: Thursday Evening 5-24-18. Trump taps anti-immigrant Utahn to oversee refugee, migration issues at the State Department; Saturday Morning, 5-25-18. Trump taps Utahn who’s railed against illegal immigration to oversee refugee, migration issues at the State Department; Friday Noon, 5-25-18. This Utahn works for an organization some have labeled a hate group. Trump just nominated him to oversee refugees and migration for the whole country. Saving lives and alleviating human suffering in Iraq. Robert Gehrke, also of the Tribune, is part of the Utah establishment that supports amnesty and has made Utah a sanctuary state. Gehrke began his column in typical Alinsky fashion by launching into a personal attack on Dr. Mortensen’s personal appearance: “Ron Mortensen is a nice enough guy who favors plaid shirts and ballcaps. Sometimes he’s clean shaven, sometimes he sports a wild mountain-man beard.” There was no mention or consideration that a beard is the common style among people in some of the countries where Ron works and is also a fashion trend here in the U.S. Apparently, Gehrke has a “extreme” narrow view about what is acceptable style. Gehrke then wrote “In no world would he [Mortensen] be entrusted to run a program created to help displaced foreign people, desperate for help, settle in this country — except in TrumpWorld,” even though Dr. Mortensen has spent years helping provide assistance to internally displaced persons in Africa and the Middle East. Gehrke continued “Mortensen is, without question, one of the most virulent opponents of illegal immigration in the state, if not the nation, with viewpoints so severe that they are decidedly in the fringe, even in a conservative state like Utah.” It seems to this writer that Dr. Mortensen’s respect for the law would be worthy of praise instead of scorn. So far, Gehrke’s story has had two different headlines: “Trump picked Utahn Ron Mortensen to be in charge of refugee programs? If this is a joke, it’s not funny.” and “Mortensen in charge of refugee programs would be an embarrassment.” Robert Gehrke… You are an embarrassment to your profession, your paper and to Utah. Considering that Journalism, or the so-called ‘Fourth Estate’, acts as a vital check and balance on the activities of government, the political system and the judiciary, it must be free from undue or corrupting influence or leveraged by bias or agenda. But, never let the facts get in the way of years of polished ignorance and propaganda. 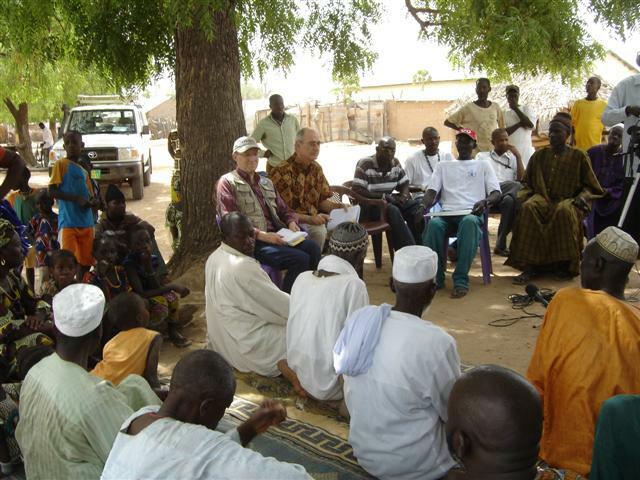 Meeting with the Village chief in Dembakunda Kuta, The Gambia. Richardson states: “… since 2015, 49 states have had Republican officials publicly attacking Islam. The one standout was Utah. Now, one Utahn with strong anti-immigrant positions could ascend to a position of prominence.” She offered no evidence that Dr. Mortensen ever attacked Islam, because there is none. She only says “could.” The moon “could” drop out of the sky. Based on history, do you think it will? Her column speaks largely to CIS being a hate group and Dr. Mortensen’s being an anti-immigrant as well as “In 2013, he called President Dieter F. Uchtdorf and other LDS leaders either naive or mean-spirited when Uchtdorf said President Barack Obama’s outline for immigration reform “matches the values of the Mormon faith” and included the shared values of compassion, family cohesion, respect for law and common sense.” However, President Obama’s proposal did nothing to protect Utah children who were victims of illegal alien driven identity theft but rather left them and their families to try to undo the damage with no help from their government. 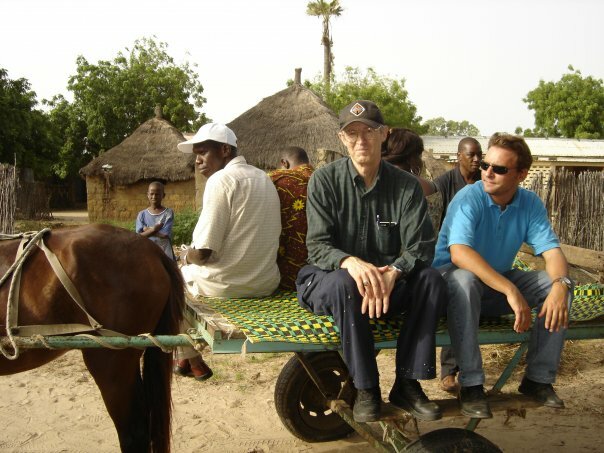 Ron on fact gathering mission in Senegal. She didn’t offer any data about the number of legal vs illegal immigrants in her statement. She also did not mention the effects that illegal immigrants have on the Fiscal and Economic Impact of Utah including education, crime, labor or health care and perhaps most importantly, she did not explain how the illegal aliens obtain jobs when they cannot legally obtain Social Security numbers which are required for legal employment. She was critical because Mortensen asserts that Utah has “lost its moral compass” because Utah as a whole welcomes immigrants into our communities and sides with the tenets of the Utah Compact.” The Compact offers no distinction between legal and illegal immigrants. It was developed specifically to push the amnesty agenda although it never mentions illegal immigration. The Compact was carefully crafted by the Salt Lake Chamber to give the impression that those signing it are simply stating their support for “immigration.” However, the authors of the document and the primary signers strongly support amnesty for all illegal aliens. Richardson said to her readers “If you’ve ever wanted to “be the change,” here is your chance. Call the senators’ offices. Get your friends and neighbors to call their offices. Tell them Utah values are not represented by a man who dehumanizes and “otherizes” people who were born in a country different than his own. We are better than this.” Holly, I thought that you were better than this. In Summary: The truth is never a minor or small thing. You can ridicule, mock, scorn or hold it in contempt, yet, in the end, the truth is still there. Those who attempt to discredit the truth are part of the lie and deserve to be credited as such. There is nothing remotely close to “extreme” about having concerns about America’s sovereignty, stability, security, safety and survival, except by those who would advocate for the destruction of our values and our country. None of these articles offered any research into Dr. Mortensen’s experience beyond grabbing what is superficially on the surface and readily available in the confined echo chamber that most of today’s “journalists” exist in. These article are about suppressing the truth in a way that pretends to be informative. 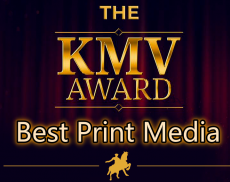 They are a classic example of “yellow journalism” and are representative of the type of force-feeding and manipulation that is found in a Stalinist society. America is not that… yet. I wish Dr. Mortensen the best in the nomination process. He will be a great asset to the United States of America. His love for humanity, his concern for our country, our citizens, and our laws, is of the highest order. Utah can be proud to have such a distinguished man representing our state and our country. I am. Please give Dr. Mortensen your support. Call Senators Hatch (801) 524-4380 and Lee (801) 524-5933 and let them know he’s the real deal! The Salt Lake Tribune, recently bankrupt, is down to about 75,000 subscribers, [74,043; 84,137 Sunday; (2015 paid distribution)] and that was 3 years ago. It certainly is not the news source for Utah. According to census.gov, State and Local Governments in Utah have Total Full-Time Employees of 109,027, so the Trib’s circulation is less than 3/4ths of Utah Government employees.